Everyone knows Bone Gap is full of gaps, gaps to trip you up, gaps to slide through so you can disappear forever. 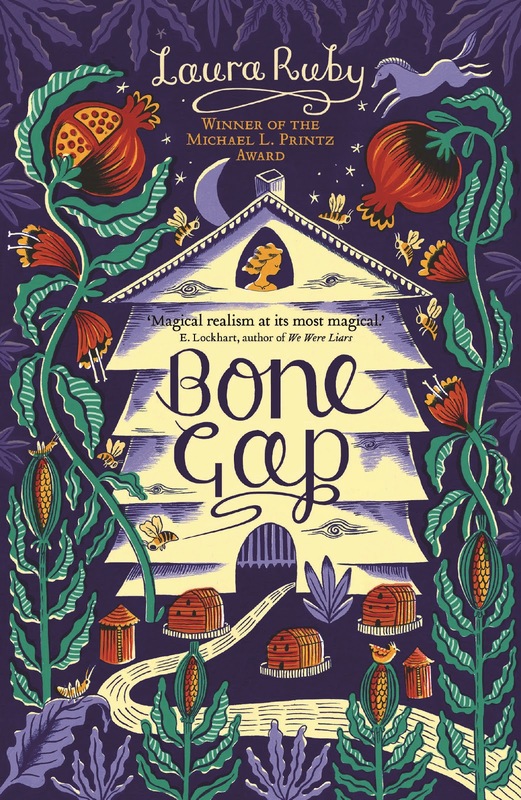 So when young, beautiful Roza went missing, the people of Bone Gap weren’t surprised. After all, it wasn’t the first time that someone had slipped away and left Finn and Sean O’Sullivan on their own. Just a few years before, their mother had high tailed it to Oregon for a brand new guy, a brand new life. That’s just how things go, the people said. Who are you going to blame? In the small country town of Bone Gap, seventeen year old Finn O'Sullivan insists that Roza was abducted by by a nondescript male who emerged from the cornfields surrounding their small rural property. As time lapses, the residents of Bone Gap believe that Roza abandoned Finn and Sean in similar circumstances to their mother while Sean places the responsibility on Finn for allowing her to leave. Finn O'Sullivan is a quiet and reserved young man, reliant on his brother Sean who assumed the position of guardian after their mother abandoned her son's. The reader is introduced to Finn and Sean's relationship in the present, fractured and distant while Sean continues to grieve the loss of his relationship with the effervescent Roza. While Finn continued his education, Sean abandoned aspirations of becoming a doctor to care for Finn, now a paramedic and remaining in the lazy town of Bone Gap. Roza is found sheltering, bloodied and beaten in the O'Sullivan barn and although hesitant, will reside in the small and self contained apartment on the property. Roza didn't abandon Sean and Finn O'Sullivan. Finn attests he has witnessed Rosa's abduction, a man who has emerged from the silent cornfields, nondescript and unsubstantiated. Finn cannot recall his face and labelled as a simpleton while Sean holds Finn responsible for allowing Roza to leave. Rosa's journey from Europe to North America is harrowing, violent and confronting, exploring her abduction. Her nonlinear narration blended suspected delusions with magical realism, the unreliability created intrigue, vulnerability and a suspension of disbelief. Finn and Sean's relationship and interactions with the Bone Gap community were fascinating. While Sean is respected, revered within the community, Finn is tormented and perceived as simple and oblivious, branded by the small, ignorant town. Although I enjoyed Sean's character, he was consumed by grief. Finn is an isolated young man who is dependent on Sean and I was disappointed that Sean disregarded Finn's emotional and mental health. The gentle friendship between Finn and the beekeepers daughter Petey was lovely. Both teens share an understanding of the harm placed upon labels and being ostracised by their peers, labelled as promiscuous. Petey is a formidable character who refuses to conform to the ideals of the Bone Gap community, intelligent, perceptive and wonderfully abrasive. 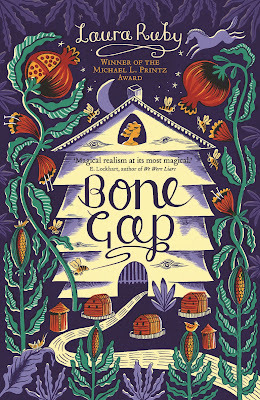 Bone Gap is fantastical and enigmatic. A fusion of contemporary, magical realism and a beautifully written, lyrical narrative that will enchant readers until the final page. Simply breathtaking. THIS IS MY FAVOURITE BOOK I'M SO GLAD YOU LIKED IT AHHHH!!!!! FINN IS SO PRECIOUS. <3 And he and Petey are like such an adorable ship omg. Those two. Plus I loved how magical and whimsical the town and story line was and just ahhh!! I love this book so much!! I can sense the Vulcan in you is very excited. Wasn't it glorious. Sean I didn't much care for but Finn was too lovely for this world. Petey is feisty and magnificent. She couldn't have cared less about the politics and whispers of Bone Gap. I've seen this cover everywhere on IG but this is actually the first time I've read the synopsis and a review of it XD Magical realism mixed in with a kidnapping sounds like such an interesting story. Plus the whole small town sounds a bit weird and I'm down with that :D Great review Kelly! Thanks Casey. It really was brilliant, the writing is so lyrical and lovely. I'd love to see what you think of it. I think the cover is supposed to represented the bee hive which is an important revelation during the narration, it's absolutely lovely though especially compared to the original cover. It's an amazing read, I think you'd really enjoy it Verushka. I love this cover! It's so much more eye-catching than the US one. I have to admit, I had no idea what this book was about, but you make a very strong case for it. I love the sound of the magical realism as well as the emotions throughout the story. Let me check to see if my library has it. I love the cover too, although it could be mistaken for middle grade. It's brilliantly magical but incredibly poignant. I hope they have on their shelves, for love to see what you make of it. I've heard really good things about this one but I'd never gave it much thought before, I have to be honest. This sounds so good though!! Thanks for sharing. I'm glad you enjoyed it and the characters seem to be done very well. Always a plus for me! I also like that it has magical realism - I don't know if I've read a book with that before. It's by far my favourite magical realism read so far Lauren, it was so wonderfuy written and multilayered. Incredibly entertaining. I know everyone LOVES this book. I managed to pick it up at ALA last year and I hope to be reading it soon. It's magnificent Karen. I do hope you'll find time to read it soon, I'd love to see what you think of it. You should be able to find it online, I think it might be the UK / Australian edition. You need this book in your life. Wonderful review, you drew me in :-) This book sounds breathtaking (or rather breath-snatching) and I will add it to my TBR right away. Yaaaaas! You'll absolutely adore this one Sarah. It's utterly amazing! One of the best magical realism storylines I've read in so long. It's superb Megan, incredibly enchanting and as equally disturbing. I'd love to see what you think of it. This book reminds me of The Road of the Dead by Kevin Brooks. One of the best things about books like this one is the exploration of both their own relationships but also their relationships to the wider world. Just found your blog, its delightful! a question, how do you get the line around the book and the text? its looks so good!